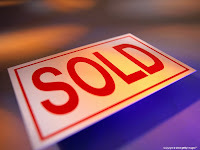 The median price of single family home sales rose 14.3 percent in Rhode Island from January 2009 to January 2010 according to sales data released today by the Rhode Island Association of Realtors. Median price, which reflects the marketing mix (size and type) of properties sold and not the value of the same property over time, rose to $200,000 from $175,000 in January 2009. Last month marked the third consecutive month of increased prices. The price increase correlates to a drop in the rate of distressed sales. Thirty-two percent of all sales last month were sold through foreclosure or short sale, compared to 47.8 percent 12 months earlier. The median price of conventional single family sales - those not sold under duress - was $227,500. For full story and accompanying statistics, visit riliving.com/pressreleases. For more information or real estate assistance, call me at 401-338-5102.